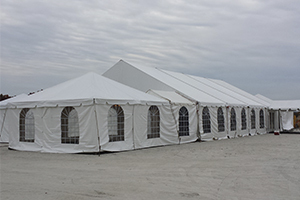 In addition to wedding and party tents, we do offer long-term tent rentals. 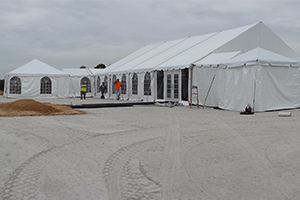 Whether it is for emergency shelters, canopies, long-term covered spaces, construction site storage, enclosed tented spaces, summer camp tents, housing, or seasonal tenting, we have special pricing specific to your needs. Each item may be rented for a week-end or for as long as you need it. We have provided several local companies the option to keep their items for as long as they need to for a special price, and we can do that for you as well! Your price for a long-term tent rental will be determined by one of our rental representatives, and will be based on the length of the rental. Please call us for an accurate quote. 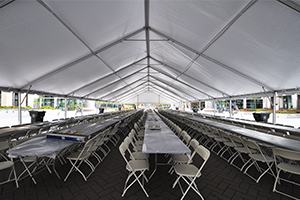 Looking for tent rentals for an event? Please click here to be re-directed to our Event Tent Rentals page.